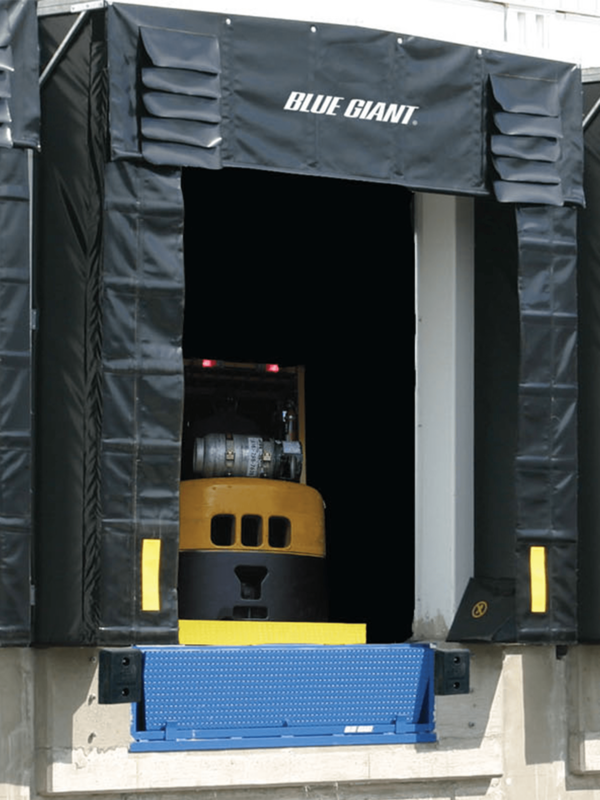 Blue Giant’s Xtra Dock Safety (XDS) prevents forklift roll-off and overheard door damage at the loading dock. Its introduction into the market in 2000, was the only product that provided to the two-in-one combination of dock-leveler and safety guard. Today, it remains at the forefront of dock safety technology. In theory, a loading dock’s overhead door should remain closed when loading or unloading is not taking place. However, doors are often left open while the dock leveler is parked, either to let air flow in or get rid of noxious air that has built-up throughout the day. When the XDS is parked in position the Door and Dock Guard sits 7 ½” (191 mm) above ground level, deterring accidental forklift roll-off. 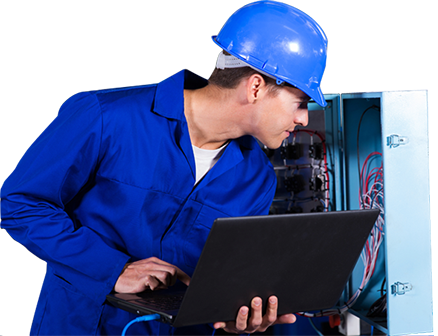 When the door is closed, the DDG remains in place, protecting it from impact damage resulting in security risk and expensive downtime. Operated with the Blue Giant Touch Control Panel, ease of operation is ensured and alerts both drivers and dock operators to potentially unsafe conditions. Operating range is up to 12” (305mm) above and 12” (305mm) below the dock leveler. Comes complete with a 1HP, Totally Enclosed Non-Ventilated (TENV) power pack system. A hydraulic velocity fuse limits the loaded ramp’s free fall to within 3” (76mm). Yieldable lip safety collapses if truck stuck in extended position. Full operating range toe guard protection (painted safety yellow as specified by ANSI Z5535.1). Stationary side toe guards with high-visibility OSHA safety striping. 18” (457mm) and 20” (508mm) long lips. Pour-in pan to facilitate new construction.